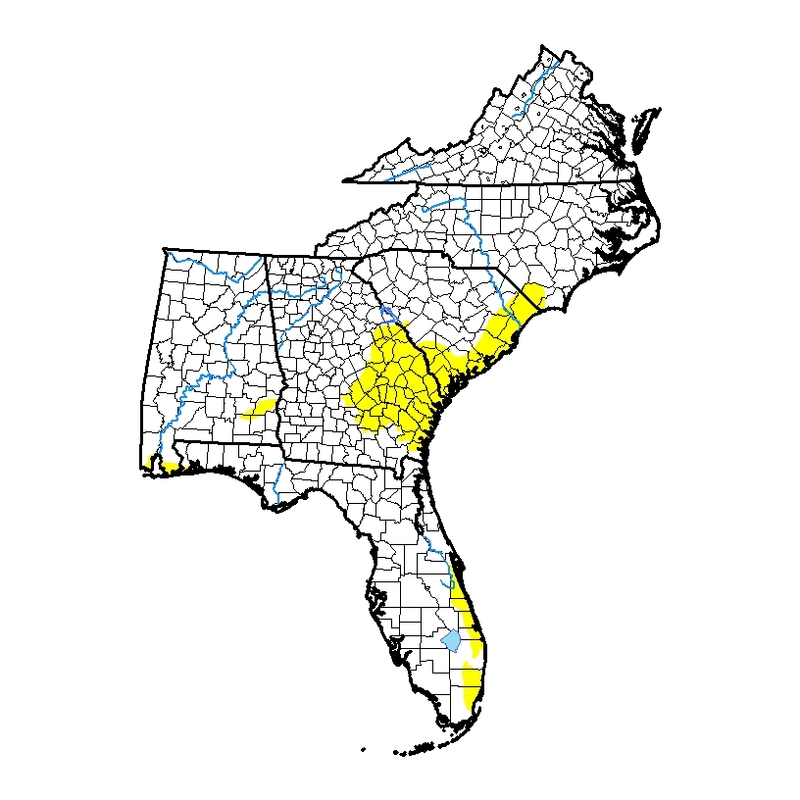 The latest Drought Monitor, released this morning, shows that the area of abnormally dry (D0) conditions more than doubled from last week’s map. There was a big increase in D) in southeastern Georgia and a smaller expansion in South Carolina and Florida, with the addition of a small area in Alabama. 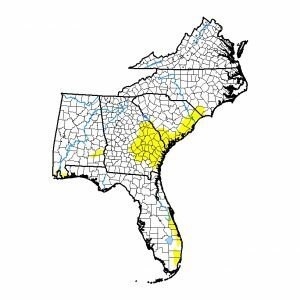 Abnormally dry conditions do not mean that drought is occurring, but that soils are abnormally dry due to the lack of rain in those regions. In large part they have been bypassed by the very rainy conditions that have plagued northern Alabama and Georgia this winter. Most of those regions except for Florida are only expected to get about a half inch of rain this week, which should not do much to help relieve the dry conditions.